One thing I learned from my No Sports for a Year experiment is that I love learning from the strategic side of baseball and I love applying what I learn to other areas of my life. So, lately, as the new 2017 season gets going, I was thinking more about how and why the Chicago Cubs won the 2016 World Series and I’ve been inspired by the smart, strategic and careful planning they did to make it happen. And when I think about the connection between the Cubs winning the 2016 World Series and building communities, I realized how those smart plans from the Cubs winning strategy share many of the same elements to building a successful community strategy. So as I reflect, here’s a list of connections I’ve begun to make between the Cubs historic championship season and what it takes to build a successful and strategic online community for organizations. Whether you’re building a community to collaborate and engage with employees or build deeper relationships with customers, I hope you can use these insights to help you create a better community experiences and strategy. What happened to the Cubs in 2016 wasn’t just happenstance. It was carefully planned out and orchestrated ever since the Cubs began to rebuild circa 2012. It was a vision manifested. Yes, baseball is just a game but it’s also a business that involves complex negotiations and strategic thinking both on the field and in the front office. Yes, much of the game of baseball is unpredictable, but organizations make hundreds of calculated decisions that set a team up to have the opportunity to be in a position to win. Same goes for building a successful and valuable community. You must know why you are building community and have a vision of the value you want to create for the members.The beauty of a having a solid and well thought out community strategy is that you can create a specific environment and experience for that value and magic to happen in. Your community vision is part of what creates the opportunity for to do what you want members to do. Having a vision is critical in both situations. When building communities, visions can be simple and grow organically but you should have at least some type of purpose and idea of why you’re starting the community and what value you want it to give back to the organization and its core audience. When I read this MLB.com article about how the Cubs veterans welcomed the rookies, brought new team members into the team culture and how those actions built a strong team culture and chemistry, I loved it because it highlighted an important part of building a successful community: welcoming new members and guiding them to helpful and meaningful experiences and conversations. In the article, they talked about how the veterans intentionally took time to teach the rookies, befriend them and introduce them to team rituals and veteran experiences. I also enjoyed how all the off-the-field relationship building helps makes the rookies feel comfortable, so ultimately, they are relaxed and can play at their best on the field knowing their teammates have their back and support them on and off the field. Same goes for community strategy. Whether you’re just launching a new community or several years in, you should always have a member onboarding and welcome strategy. Welcoming new members and developing your member journey is vital to the initial and long-term growth of your community. You should ask: What do you exactly want members to do and experience within the first 30 to 90 days in your community? Strategically designing this journey from start to finish is what drives, guides and inspires new members to get value right from day one and it’s also what plants the seeds of advocacy so members can become empowered advocates and champions for your community. A well thought out welcoming strategy and a clearly defined and developed member path should be a top priority in a community strategy, but often what happens is that this critical part of success often goes overlooked or falls to the bottom of the list as a community begins to grow. Don’t let this happen to you. Most organisations just think that people will figure out how to find things in the community and rely to much on serendipity. It;s a mistake that adoption will happen organically. It just isn’t true. The most successful communities are the results of strategically planning out the member experience so it leads the members down an intentional path of value and meaningful moments that keep them coming back and invite them into the purpose of the community. Take the time to be strategic and map out our member’s journey. There was a lot of high-expectations and constant distractions throughout the Cubs historic 2016 season. Late night talk shows appearances, commercials spots, media pressures. But it never seemed to take away from the ultimate goal and mission. The Cubs seemed to be able to remain present and take things one game, one pitch and one play at a time and stay focused on the ultimate goal: Win the World Series. Same goes for your community strategic priorities. Know what you want to do and don’t get distracted. I admit that it’s easy to get sidetracked with all the noise, moderation, resource setbacks and other myriad distractions that get thrown at you as you try to build and grow your community, but take time to lay out your community goals and hold fast to them. Write down what projects are most important to growth. Be clear about what projects and daily actions are going to add the most value to achieving eventual success. Be consistent and relentless about sticking to that list and it will show to the rest of the organization that you mean business with your community. The value of community is still not obvious or assumed in most organisation and staying focused on your strategy is important in making sure your demonstrate and communicate the value to all stakeholders. Demonstrating to the organization that you are focused on achieving your community’s business goals is key and it should be a top priority for you. This was probably one of the most overlooked, albeit most important reasons why the Cubs won the World Series. They lost 64 times during the 2016 season and I always felt like they made the most of each loss. Understanding that losing is a part of the baseball season and accepting it is big part of winning. And the Cubs always seemed to use defeat to their advantage by learning their opponents styles and weakness so when the next opportunity to win came around they were ready. Essentially, they won even when they lost because they learned from what didn’t work and saw each moment as a chance to learn and experiment and then make adjustments. Sames goes for building community. You’re going to fail. If you don’t fail, you’re likely playing it way too safe and not growing or getting the value you should be getting. So expect to fail and when you fail, learn from it. Take detailed notes and use what you learn to build a stronger community strategy. Work out loud about your failures so you and others can learn together. Heck, you could even take it step further and see losing as a way to build stronger emotional relationships with your community. As a Cubs fan growing up, the Cubs were known as the “lovable losers” and it was following the team through thick and thin that built stronger relationships and when they finally won it all, it made the win that much sweeter. If you approach it in the right way, losing has a way of giving you a chance to be vulnerable and connect on a deeper level with others in your community. When you fail together as a community find ways to make it meaningful and make it something that brings your community together instead of something that rips it apart and creates chasms. Use failure as a catalyst to improve and discover more ways to win and as a way to build bridges. Same goes for community. Building a valuable community takes time to evolve and grow. The most successful communities start small and build gradually over time. For example, in my last community building project the journey to build community and collaboration at Walgreens took 5 years and not until about year 2-3 did it finally take root. So, don’t rush it. Be patient. If you want to win and build something meaningful, know that it’s a long journey but it’s totally worth it. In order to have lasting meaning and create successful winning behaviors, there has to be special rituals that the team or fans do together and you have to do them regularly. Creating rituals that leverage the power of psychology and how our brains and bodies work is a must. Look at what the Cubs do after every win at home, Wrigley Field erupts into a frenzy singing “Go Cubs Go.” This is an important part of being a Cubs fan and it’s one of the things that unites and builds community among Cubs fans. It may seem strange to other fans but it’s a key ritual that breeds success. 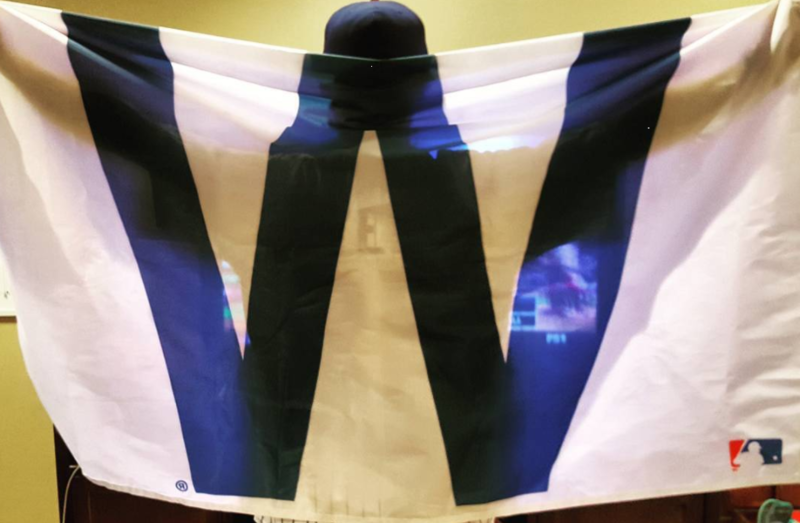 That said, during the 2016 season, after listening to Joe Maddon talk about how he encourages celebrations and dance parties after each win made me ask the question “Was there too much celebration, too much partying with out having won the whole thing?” But then I realized how important those celebratory daily rituals are to success. I began to appreciate the powerful impact of building behaviors that build a strong and winning culture. Same goes for community. Celebrating your wins daily, weekly, monthly and yearly because it’s socially and psychologically important to building a winning culture. Celebrate with your community and celebrate wins with your community team. Your community strategy should include some type of ritual that the community experiences together. It can be a live event, weekly member recognition or celebrating wins together each year. Whatever it is, you must make ritual building a central part of your strategy to create a powerful shared emotional experience within your community. You can’t have a valuable and long-lasting community without it. Like I mentioned above with welcoming members and making rookies feel supported was a key ingredient for success. There’s no denying that the Cubs secret was the relationship building. The Cubs winning culture came from the strong relationships that the players built together. And for decades the Cubs organization has built such a strong emotional, relational bond with it’s fans that we’ve stuck with the team 108 years until we finally won it all. The same goes for building a community. Yes, a goal for your community should be to use it to ultimately build better relationships with customers and employees. But for the ultimate goal to be realized your must focus on a small core of key relationships that will impact the broader relationship with the community. Rewarding top contributors and influencers is critical to the success of your community strategy. You can build those relationships by giving your MVPs special access to future content before you share it with the broader community. Give your customer champions access to product development and top people within your organization. You can collaborate with top contributors and include them in the creation of future community strategy. You should also focus on building relationships within your organization with stakeholders especially in the key departments such as HR, Communications, Legal, IT and Marketing Relationship building should be where you spend much of your time. Treat relationship building like gold. Be intentional about building relationships and don’t spend to much time in the actual online community. Get off line and spend value face time with the people who are going to help you grow your strategy. One of my favorite highlights of the 2016 season was watching and listening to the Cubs bounce up and down in post-game huddle saying “We never quit!” This rang true right up until the final moments of Game 7. Doubt hung over the team, but Jason Heyward and David Ross stood up at key moments in the final games and reminded the others that they were capable of winning and should not give up now. And I believe this “never quit” attitude came from the Maddon’s approach to not seek perfection but focus on the moment and pursue a growth mindset. And after every game I always heard Joe Maddon talk about how the team was young and that the goal was to stay present, “have a process not an outcomes” mindset. He talked often in post-game interviews about experimenting constantly and grow daily. Same goes for community. It takes time to build a successful community and you should always have a desire to continually test and experiment. Whether you’re just launching a community or a couple years in, there’s always room to grow. Trying to get your community perfect is a loss cause and in some case will limit its potential. Failure is a great asset and learning from what didn’t work will help you make a better community over time. That said, don’t plan to far ahead and don’t make your strategy so rigid that it can’t bend and flex with all the changes that are going to come your way. I’ve found it valuable to road map in 2-3 years and 3-6 months time frames so I have both the short and long-term in mind. Community management is still very new and when it comes to business integration we’re just getting started and learning about how it all works and should work. So be open to change and experimentation. And always be looking for new opportunities to more fully integrate your community into your business. Joe Maddon always defied convention. He took risks but he always believed in his vision. This is probably what I both most respect and struggle with about Joe Maddon. On one hand I loved his approach to management it was exciting to watch unfold during the season. But at the same time it caused me so much anxiety as a Cubs fan watching as he made unorthodox moves with the bull pen, aka Aroldis Chapman in Game 7. But it was this very core behavior of Maddon that makes him such an indispensable and legendary manager. Same goes for your community strategy. Once you have your vision you should be relentless about following it even in the face of adversity and doubt. You can pretty much assume that most of what you do initially with community will make stakeholders and other throughout the organization uncomfortable at first. This is because integrating community into the flow of business is a new thing for most organizations. So don’t always expect everyone to support or agree with you. Expect push back along the way. But, like I mentioned above, be sure to build strong relationships with your early supporters and champions because these people will help you carry out your vision and champion it for you to their audience. And this is the only way the community will grow and become valuable to the organization. But don’t expect to always be in agreement. There will be time when you must do what other don’t understand in order to grow. When it comes to challenging myself with my own community vision, I always think about what I’m building and ask myself “Does the strategy follow the rules or does it challenge conventional thinking and explore new territory both within the company and within the overall practice of community management? Am I using the community to change company culture and the customer experience, or am I just playing it safe and simply using community to mirror silos and traditional corporate culture? Am I doing things that other community strategists haven’t done or am I sticking only to what I’ve read and not taking risks to explore new experiences? And I’m sure that Joe Maddon and the 2016 Cubs did the same things and asked many of the same questions as they challenged convention, took risks and learned a ton on their way to making history. And I hope the same for your community strategies. I hope they revolutionize your company culture and transform your customer experiences in ways your organizations have seen before. I hope you enjoyed this exploration! Thanks for following along and I’d love to know what you think. Share your thoughts in the comments below! What Are You Running From? What Are You Running To?